Ask The Organizer - Home Organize It! Maybe you're thinking about putting your home on the market and you want to know where to start. Do you go through everything first and have a garage sale? Or move unused items to storage while you stage your home? Perhaps you have so many kids toys all over the house you can barely find a path from one room to the next. Or maybe the kids' clothes are becoming unmanageable. Ask the organizer! Are you a creative artist who longs to be able to find what you're looking for faster but the thought of getting organized makes you want to run the other way? Do you like to spread out while working on a project and not put things away until you're done but still want an orderly room when guests stop by? Ask the organizer! Has that spare closet or room become the "black hole" and now it's so full you can't open the door? Are you making the best use of the extra storage space you have by utilizing upper and lower space with shelves? Ask away! Has a collection or hobby begun to take over your home and while you still love your stuff you need a way to manage it all better? Maybe you're downsizing, moving a parent to a senior residence, have a son or daughter going to college or moving out into an apartment. Ask your questions here. Whether you are young or older, completely disorganized or on the other end of the organizing spectrum your questions are welcome. And be sure to scroll through the questions already answered below. You may find an answer quicker than you thought possible! 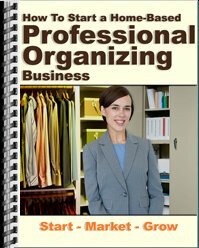 Do you have a question about getting organized that you haven't found the answer to? Have you been wondering just where to start on your quest to simplify your life? This is the place to ask! Your question will appear on a Web page just the way you enter it here. Do you have a picture that will help give a visual to The Organizer? Great! Click the button and find it on your computer. Then select it. Click here to see the rest of the form and ask The Organizer your question. How do I keep my house child proof and safe and organized? My question is where to put things in the cabinets? Does food always have to go into the pantry or can you keep dishes in there? How to organize a multipurpose room? How do you organize children's rooms? I want to know what necessary things we should keep in children's rooms and all that stuff. Return From Ask The Organizer To Home Organize It!